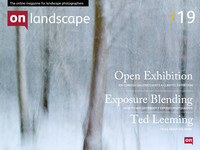 Professional landscape photographer based in Dumfries and Galloway, Scotland. My photographic career/obsession/love/passion – call it what you will - began with a flattened instamatic 110 film camera. Sleek. Fitted the pocket. Easy load cassette film. It even extended to reveal the shutter release. As a bit of a gadget freak even then I confess to being instantly hooked though technical “control” was not one of its stronger points. And so I quickly progressed to my beloved Ricoh KR10 Super which stayed with me for many years and was where I learnt the “rules” of the game. I was having unending fun and the thought of heading out with the camera filled me with delight each and every time.